Home updates Sonam Kapoor Chang her Instagram and Twitter names after wedding. Sonam Kapoor Chang her Instagram and Twitter names after wedding. Sonam Kapoor Chang her Instagram and Twitter names after the wedding. Sonam Kapoor and Anand Ahuja Change Instagram and Twitter names after the wedding. She has 12.5 Followers, she 1676 Following, and 3271 posts on Instagram. Sonam Kapoor new Instagram name "SonamKAhuja"
Sonam Kapoor has 12m Followers, 10.2k Likes and she posts 16.6k Tweets and Following 816 peoples. her new Twitter name is "Sonam K Ahuja ". 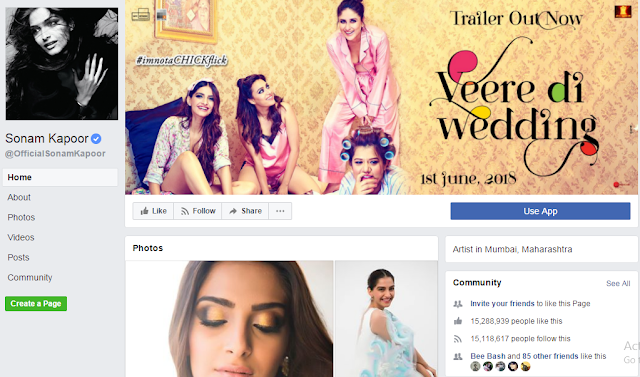 Sonam Kapoor has 15,288,939 Likes her Facebook Page and 15.118,67 Peoples Follow her. she Does not Change her Facebook page name.